For the gothic stool I'm working on, I plan to chip carve a design on the outside of each leg, carve the handle for the seat, and carve a scene on the front of the stretcher. I have a ways to go, but here is an update on my progress. 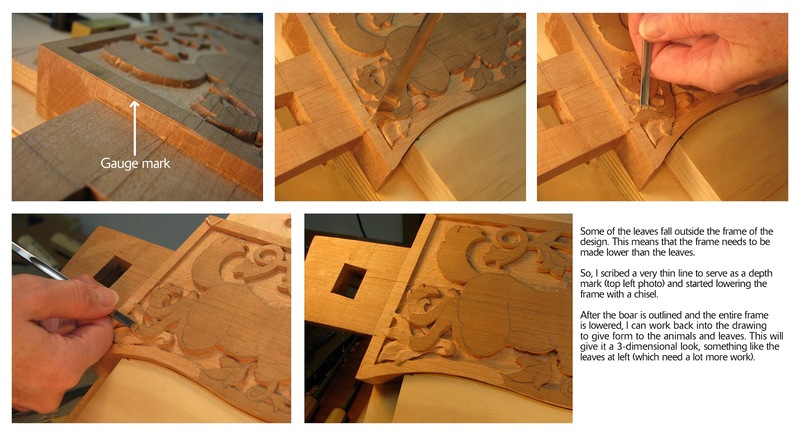 The chip carved designs I'm using are right out of one of Wayne Barton's excellent books. 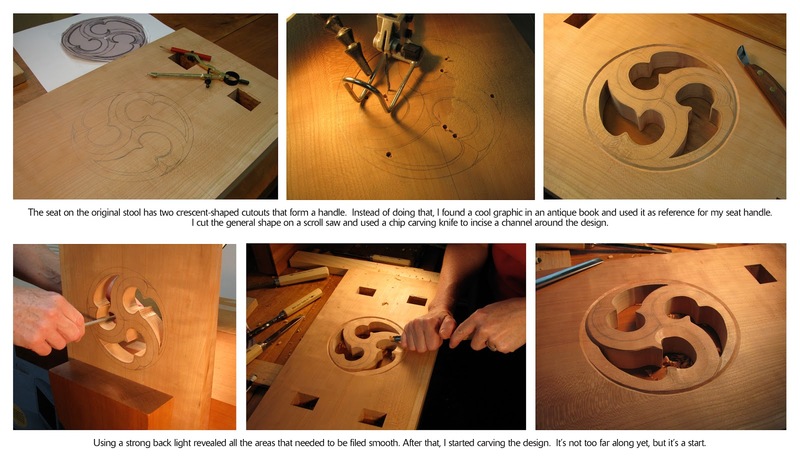 The handle is based on a tiny graphic I found in a book about gothic furniture. 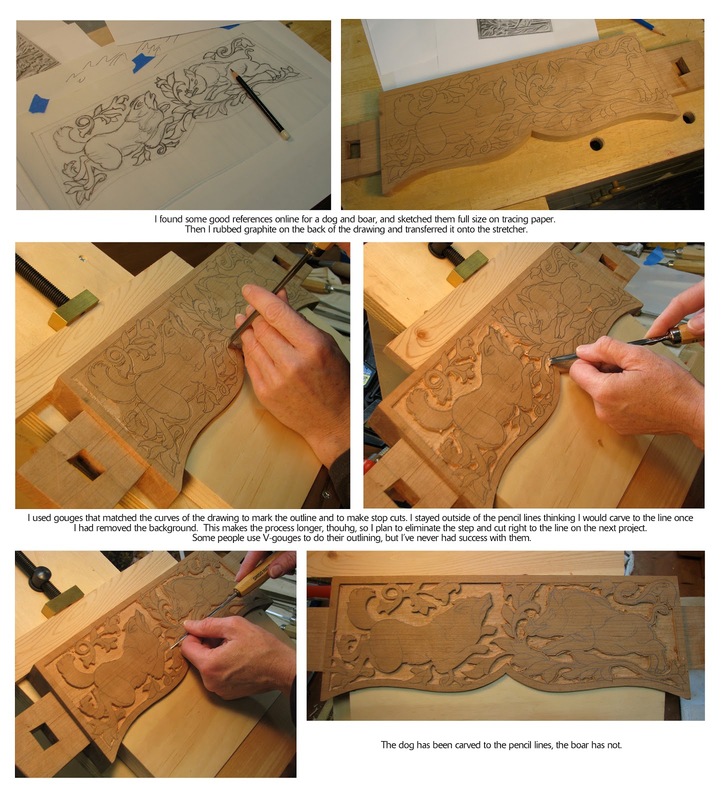 The design for the stretcher relies heavily on carved scenes I found on medieval panels. It was a humbling experience while searching for references for the stretcher. It seems as though every wooden surface from the middle ages had something carved on it. 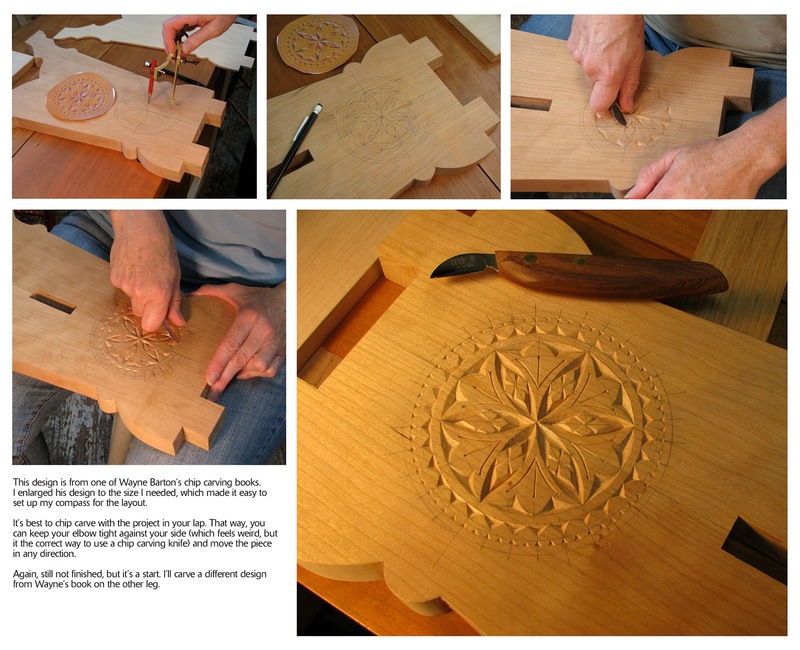 The apparent speed and skill of the craftsmen is mind boggling. I can't imagine how it would feel to be among a team of carvers that was asked to embellish the entire interior of a church when I can't seem to peddle any faster with this tiny little project I'm working on. 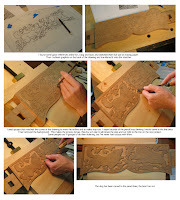 For the relief carving, take my process with a grain of salt. 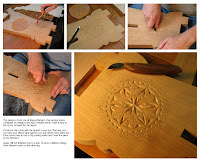 I'm figuring this out as I go along, so if you really want to learn relief carving, you might want to invest in some good books or DVDs from folks who've had training. Basically, I draw the design, make stop cuts straight down along the outline, use shallow gouges to pare away and level the background, then start on the design. To do that, I also outline the pencil lines with stop cuts, and then carve away portions that should appear to be further away in perspective. I start with basic shapes and then work back in with finer details. No sense getting too detailed in case you find you need to make certain areas lower as you go along.